The award-winning Feist first landed on PC, Mac, and Linux last year, and today it arrives on PS4 and Xbox One... depending on your region. The Xbox One version and European PS4 versions have been delayed. 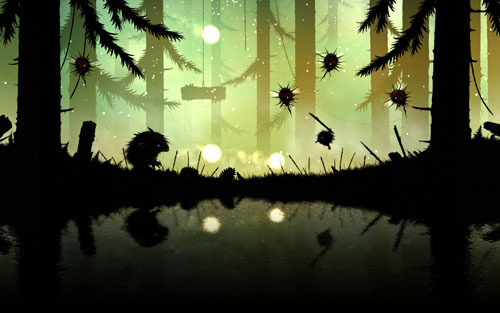 The game is presented in a silhouette style reminiscent of Limbo, with floaty jumps and a strong sense of style and atmosphere. The physics-based navigation and combat is occasionally problematic, as we outlined in our coverage here, but the game does offer an organic universe with unique creature interactions that set it apart from other atmospheric platformers.